Take your HDTV to the next level with the ability to expand your HDMI devices in a more organized and functional setup. 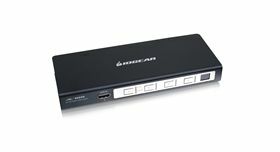 IOGEAR's HDMI Switches enables you to connect multiple HDMI source devices to your HDTV, while only using a single HDMI cable to your HDTV for a streamlined professional arrangement. Select and view the desired HDMI source device just by a switch of the remote or a push of the front-panel pushbutton. No need to mess around with the TV's AV input selections. 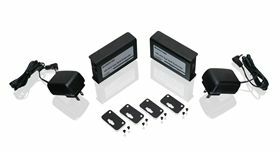 The switch eliminates the hassle of figuring out the correct HDMI input for the desired device. 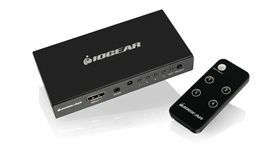 The IOGEAR high-end 4 Port HDMI® switcher with IR and RS-232 control with support for 3D. 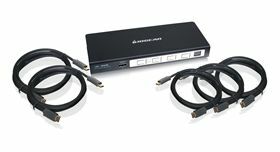 A switching solution with 4 HDMI inputs for devices such as DVR / Set-top boxes, Blu-ray / DVD players, game consoles and media servers; all connected to one HDTV display. 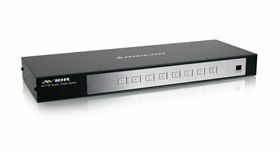 The IOGEAR high-end rack-mount designed 8 Port HDMI® switcher with support for 3D along with IR and RS-232 control. 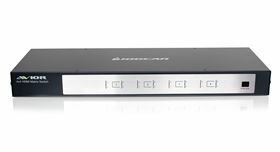 A switching solution with 8 HDMI inputs for devices such as multiple DVR / Set-top boxes, Blu-ray / DVD players, game consoles and media servers; all connected to one HDTV display.